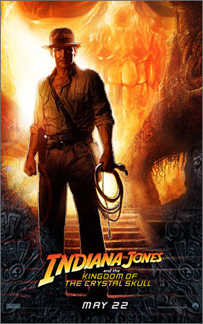 As you can see, the official one-sheet for "Indiana Jones and the Kingdom of the Crystal Skull" has arrived... and USA Today has published a few more details about the film. The Writer's Strike begins its sixth week, with talks stalled for the moment. Hollywood workers are pleading for them to begin again. Costume designer Marit Allen has died. Warner Bros. is releasing a great collection of Oscar-winning animated shorts. Here's a question I've weighed in on previously - how historically acurate should movies really be? A discussion was held recently on that very topic.